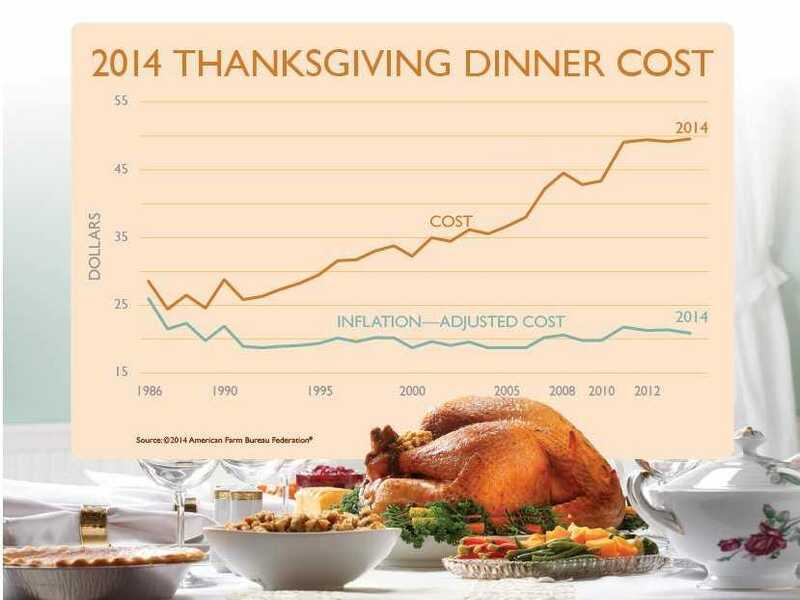 Thanksgiving inflation is flat this year. 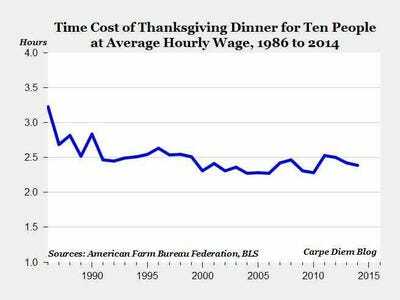 The average cost of a Thanksgiving Day dinner for 10 people this year is $US49.41, an increase of $US0.37 from last year’s $US49.04, but still a tiny bit lower than 2012’s $US49.48, according to the American Farm Bureau Federation. The price of turkey has actually seen a little bit of deflation. “The big ticket item — a 16-pound turkey — came in at $US21.65 this year. That’s roughly $US1.35 per pound, a decrease of less than 1 cent per pound, or a total of 11 cents per whole turkey, compared to 2013,” says the AFBF’s report. This is despite soaring prices in beef, veal, and pork, and other kinds of poultry this year. Turkey deflation is offset by rising butter costs: it’s up almost 30% this year, according to a note from Wells Fargo’s economics group. 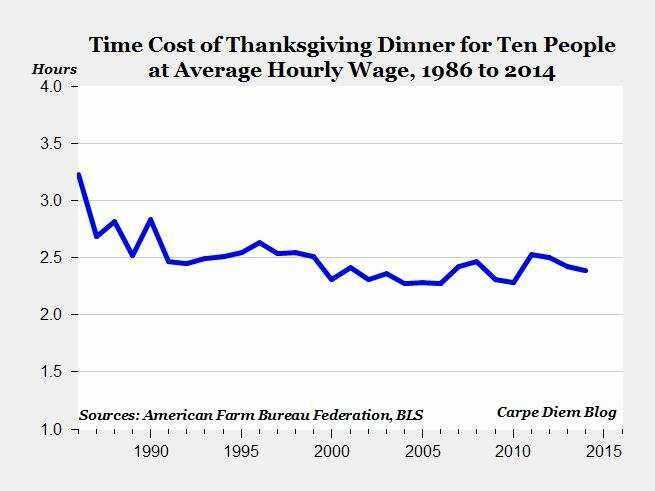 Here’s how much a dinner costs at the average hourly wage over time, as calculated by the American Enterprise Institute’s Mark Perry.